Atalanta vs Borussia Dortmund – Thursday, February 22, 20:05GMT/21:05CET – Stadio Di Reggio Emilia Città Del Tricolore, Reggio Emilia, Italy. While it is not always pretty Dortmund keep on collecting wins under new head coach Peter Stöger. Since the Austrian has taken over Dortmund’s record has been W6 D3 L1 in all competitions with the single defeat coming against Rekordmeister Bayern München in the DFB Pokal just before the winter break. With a point average of 2.1 Stöger has achieved precisely what he was brought in for in December—to steady the ship at Borussia Dortmund. At the same time, there have been complaints about the style that Dortmund have played at times. At a closer look, it is hard to blame Stöger for his no-nonsense approach. After all let us remember the situation that Dortmund were in when he took over. The club had not won a competitive match in eight games in the Bundesliga and crashed out spectacularly out of the Champions League. The dressing room was split thanks to Pierre-Emerick Aubameyang’s wish to leave the club and lacked the confidence to win matches. With this in mind, Stöger had to focus on the basics, which was to close shop in the back and hope for technical inspirations up front. The plan has worked well and led Dortmund back to second-place in the Bundesliga. In the Europa League Dortmund now have the chance to reach the next round after beating Atalanta Bergamo 3-2 last Thursday. It was perhaps the most chaotic game since Stöger had taken over with his side committing grave mistakes in the back to gift Atalanta two goals. Those two goals almost put Dortmund into an impossible situation had it not been for newly signed striker Michy Batshuayi, who scored the equaliser and then the winner in the dying moments of the game. Dortmund now have a slight advantage over Atalanta in the second leg, but at the same time have to be more cautious in the back should they not want to go out in the round of 32. 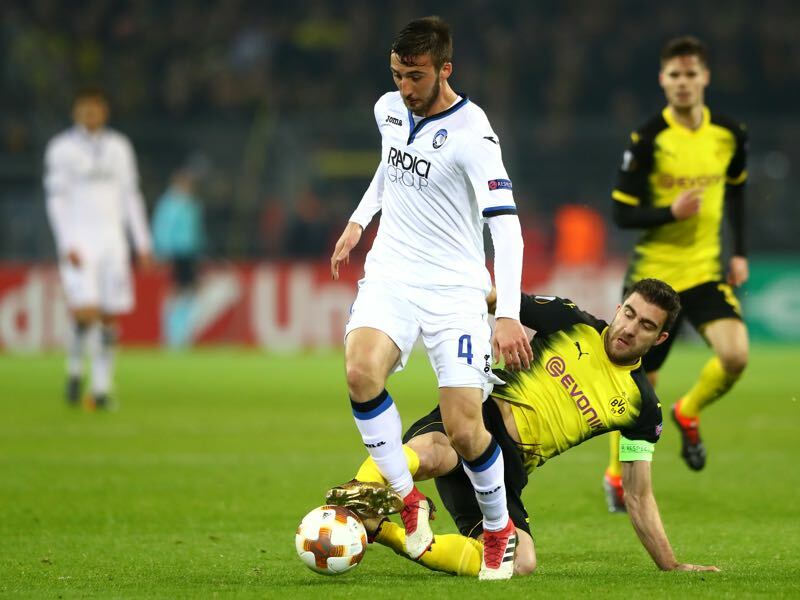 The eighth-place team Atalanta highlighted in Dortmund that they were no pushovers. Well organised in midfield Gian Piero Gasperini’s side can quickly spring on the counter to unleash striker Josip Iličić, who scored twice in the first leg. The Yellow and Blacks, however, will have the advantage that they can sit deep and quickly spring on the counter-attack themselves in this second leg. The return of Marco Reus, who has now played three games in a row and is quickly regaining match fitness, and the rekindling of form by his national teammate André Schürrle will aid Dortmund to play fast counter-attacking football in Reggio Emilia, where Atalanta play their European matches. Reaching the next round of the Europa League will be essential for Dortmund, because only with positive results can Stöger develop this side back into an attacking team that played fantastic football under Thomas Tuchel and Jürgen Klopp. The essence is time and confidence, and every win will provide precisely that. As for this match, Dortmund’s quality should be enough to see them through to the next round, even if it is another tightly fought affair aided by a little match luck. On loan from Benfica, Bryan Cristante is the heart and soul of Atalanta’s midfield. The 22-year-old has scored seven goals and one assist in 23 Serie A games and added another three goals, and one assist in seven Europa League matches. Playing in the centre of a five-man midfield Cristante almost acts like a number 10 by supporting the two strikers up front. Worth €15 million Atalanta possess an option to make the deal permanent for €4 million and given his abilities it is hard to believe that the Italians will not exercise their option to buy the midfielder. 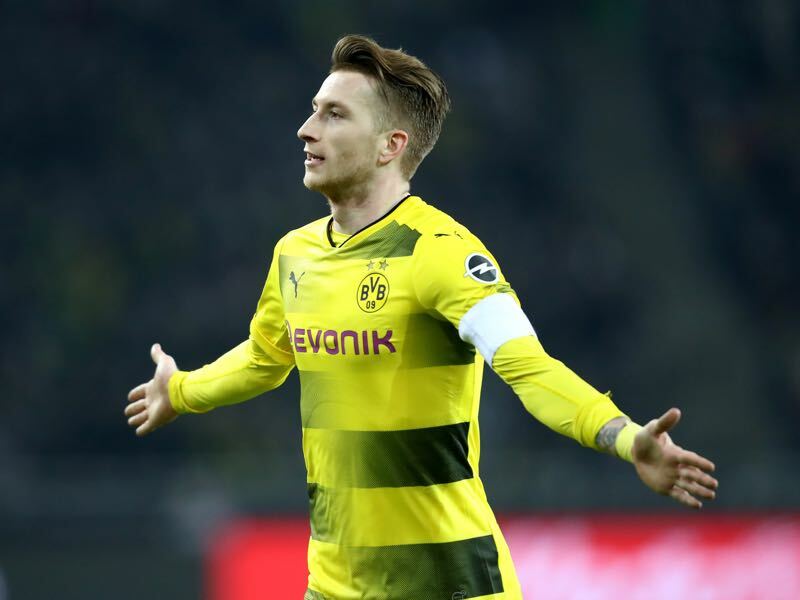 Marco Reus was the difference in Dortmund’s victory over his former club Borussia Mönchengladbach on the weekend—playing his third game in a row since coming back from injury the attacking midfielder scored a miraculous goal to make it 1-0. The goal was the difference in a match that was dominated by Gladbach but decided by individual brilliance. Dortmund now hope that Reus will also be the difference maker on Thursday when Dortmund travel to Italy to make the step to the round of 16. Atalanta’s only previous tie against German opponents came in 1990-91—their most recent European campaign until this one—when they ousted Köln 2-1 on aggregate in the UEFA Cup third round (1-1 away, 1-0 home). Dortmund have faced Italian opposition on 32 occasions, with their record W11 D4 L17. The first leg of this tie was their only meeting to date with a Serie A side in the UEFA Europa League, but their last UEFA Cup tie against a team from Italy resulted in a penalty shoot-out defeat to Udinese in the 2008-09 first round after both clubs had won 2-0 away. 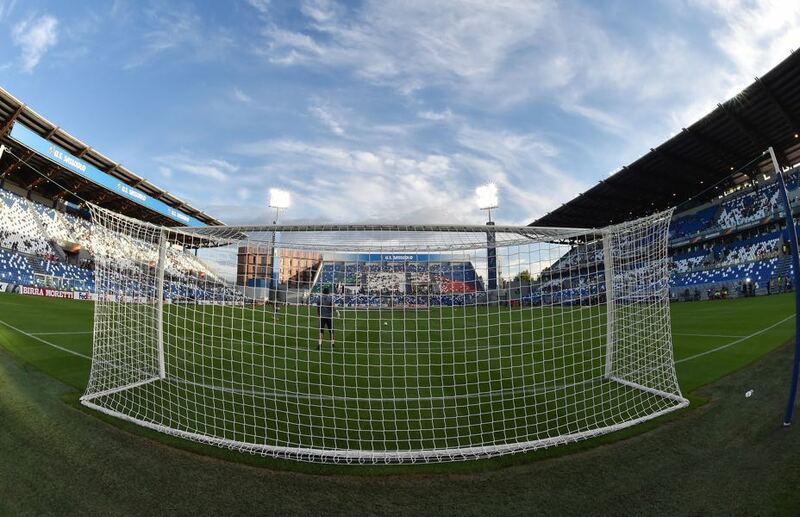 Atalanta have won all three of their European home fixtures this season, scoring seven goals and conceding one. They are yet to be beaten in eight UEFA Cup/UEFA Europa League matches on home soil (W5 D3) and have conceded just two goals over that stretch. Dortmund have won 16 of the 17 UEFA competition ties in which they won the first home leg.